Custom made folding or bifold doors are ideal for making effective and attractive room dividers both internally and externally. 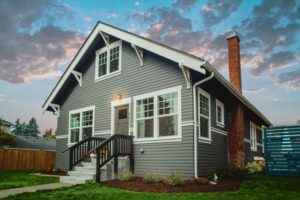 As a result, many homeowners are now installing them into their homes in a plight to ensure their abode is modern, unique and spacious. Bifold doors are available in a wide range of finishes and colours depending on the style and colour scheme of the home. 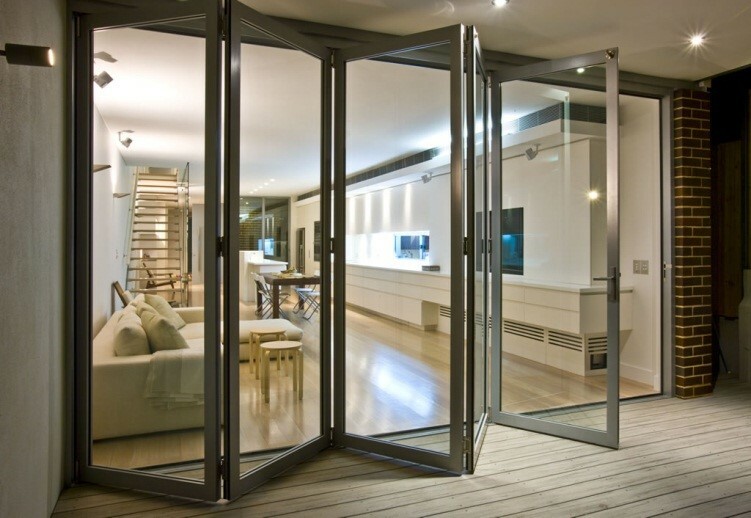 There are also a range of bifold door systems available – these are ones that can open inwards or outwards. Many designers believe that bifold doors look best when they are at their biggest. This contrasts to that of French windows or patio doors – bifold doors are made up of three or more panels that fold back on themselves against the wall to create the ultimate amount of space. The cost of the doors will vary depending on the materials you choose and the size you would like. Folding doors also look best when the ground level on either side is exactly the same – it gives a spacious effect that looks brilliant when the sun is out. 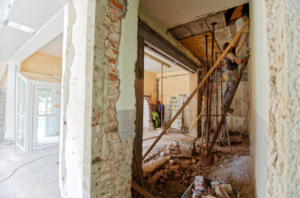 If the doors are placed internally within the house, it can mean that re-plastering and redecorating may be needed in order to cater for them – however, this does not normally require planning permission. Folding doors are available in both timber and aluminium and are exquisitely engineered to allow unparalleled views from the space. Security options are also available in all bifold doors – with many options readily available. 2014 has seen the rise in the use of both sliding doors and folding doors – despite the less than fantastic summers we see here in the UK, we are always optimistic nonetheless. As a result many are choosing to open their homes up to the gorgeous sunshine. The adoption of folding doors adds a sleek, modern finish which allows them to move on tracks that are flush to the floor. 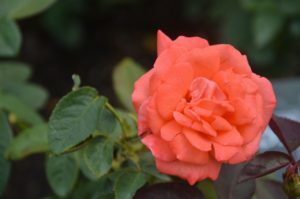 They are also ideal for small spaces as they do not take up much room. Folding doors have become increasingly popular in conservatories leading to the outside garden. 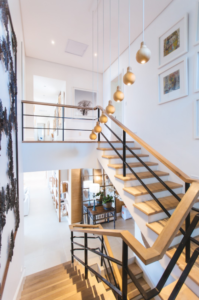 This allows the home to not only look ultra modern but also allows a large amount of light into the home, giving the look of an enhanced space. Many designers are trying to make homes look even bigger than they are in order to increase value and the overall look – therefore, it is no wonder that folding doors have replaced the traditional French patio ones. Bifold patio doors have also become popular with their ability to provide 90% more unobstructed view to the outside – ideal when you are entertaining guests. 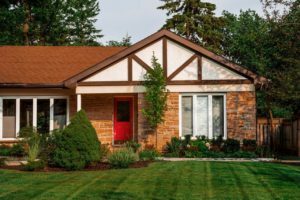 This type of door has been regularly featured in home improvement magazines along with television home make-over programmes. 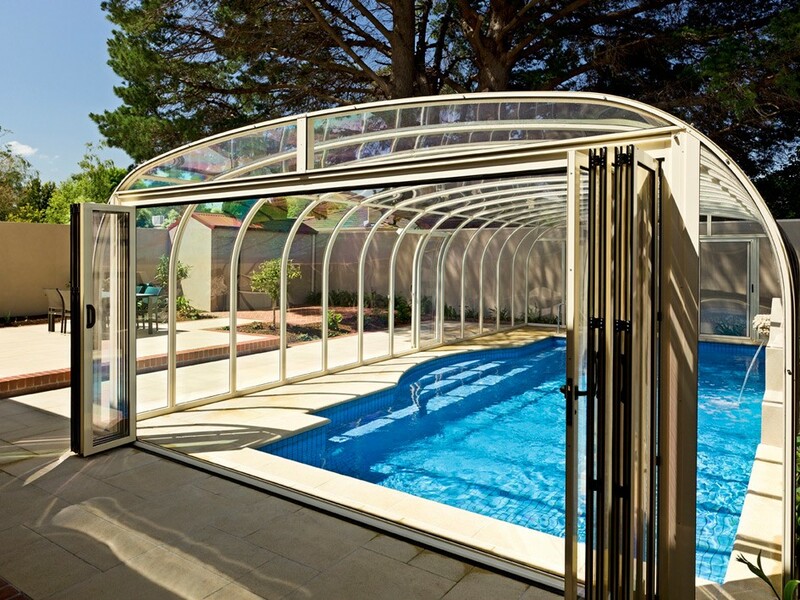 Folding doors are now widely used across the globe for conservatories, extensions, offices and swimming pool enclosures. Aluminium folding doors have predominantly been used for external use due to their durability and fresh look. However, it is important to remember that the UK has cold winters. Therefore, it is important to remember to use double glazing in order to ensure energy efficiency. This will stop any draughts coming through the doors during the cold winter months and help keep your electricity bills to a minimum. When installing your brand new folding doors, it is important to ensure they are sympathetically incorporated into the theme of the home – otherwise they will stick out like a sore thumb. You can do this by deciding what colour to choose from and what material they are to be made from. If this is done correctly – bifold doors can have a dramatic impact on your living space. 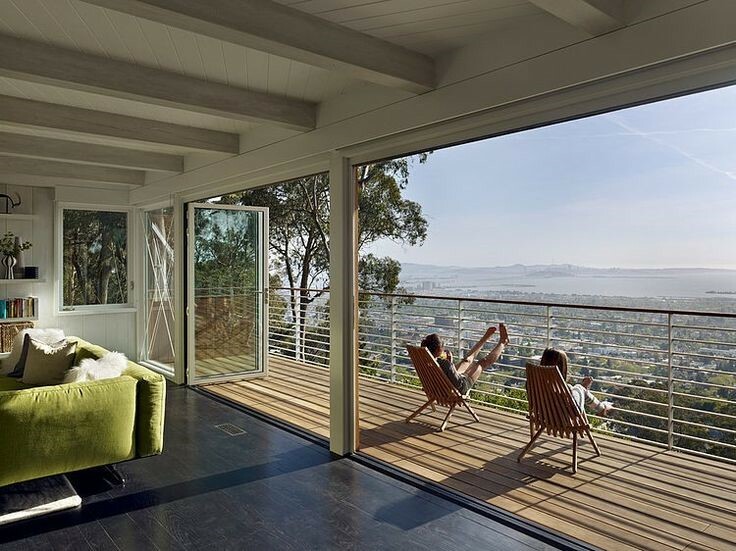 One of the main advantages of having bifold doors in your home is the aspect of outside, inside living. They have the ability to fold right back so that it barely looks as if you have a door there at all – this look is perfect for the summer months, especially if you love that modern look. As a result, they are ideal for modern builds – some may even be built with them already in place. Folding doors are also really simple to install – you can get a professional in to fit them or you simply fit them yourself. Due to their folding capabilities they can easily be carried through the house in order to install them. Sliding doors will be a little more difficult. Bifold doors are ideal for households with children as they have the option to have child locks placed on them to stop little fingers from getting caught and are a great way to keep your children in one room. 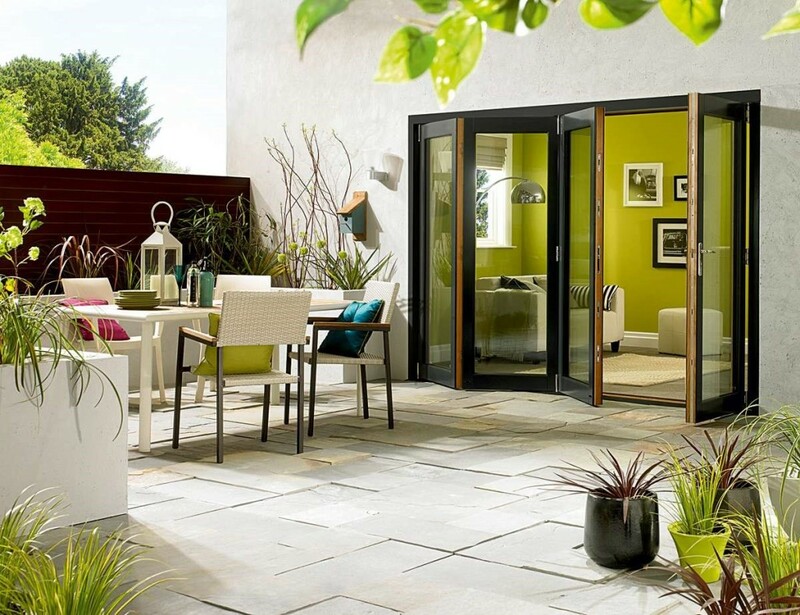 Due to the wide range of materials, colours and styles available today for bifold doors, it is no wonder than homeowners are using them for both internal and external use.